From the author of Wreck This Journal, an interactive guide for exploring and documenting the art and science of everyday life. Artists and scientists analyze the world around them in surprisingly similar ways, by observing, collecting, documenting, analyzing, and comparing. 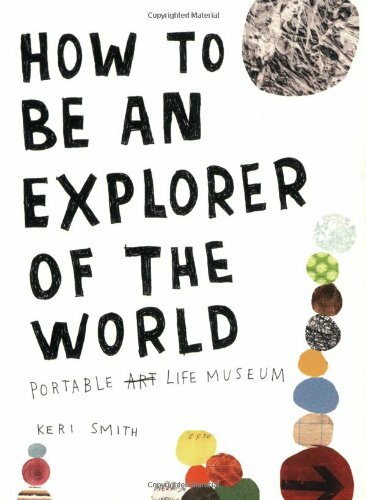 In this captivating guided journal, readers are encouraged to explore their world as both artists and scientists. They are creative, a wonderfull philosophy and an amazing design. It doesn't mind who you are: read this book, use this book! Keri Smith is Super Cool! I've purchased several books by Keri Smith and have never been disappointed. Her creativity is inspiring and motivating. I look forward to anything she publishes in the future. This book is simply amazing, it gives a lot to the reader as a person, artist and free thinker. If you are an artist, or just want to take a leap into adventurous thinking this book is for you. I teach middle schoolers how to strengthen their writing skills.I ran across this book while searching Amazon for some journal ideas for my own children at Christmas time.I bought the book for prompt ideas for my class.It has been amazing.So much so that I'm facilitating a class for teachers wanting to learn more about building their students' writing skills and our LA department is going to buy a copy of the book to give to each of the workshop participants.Yay!I can't wait to show more teachers how this book can be used to begin some fantastic activities in the classroom. Excellent - Breath of Fresh Air! This book was FABULOUS! It was completely different to what I expected as it expects 'user input' and is not a book to be read from one cover to the other. Everyone knows who Marco Polo and Christopher Columbus were. But do they know that Christopher Columbus owned a copy of Polo’s book The Travels of Marco Polo, full of Columbus’s own handwritten notes that served as inspiration and research for his famous journey? 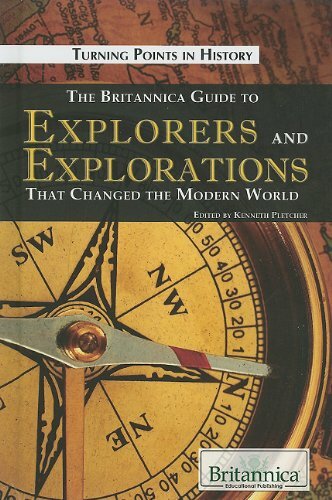 This amazing link and nine more are the basis for this highly original look at great explorers. By drawing a line from Polo and Magellan to Lewis and Clark and right down to Jacques Yves-Cousteau, readers will never think about history the same way again. 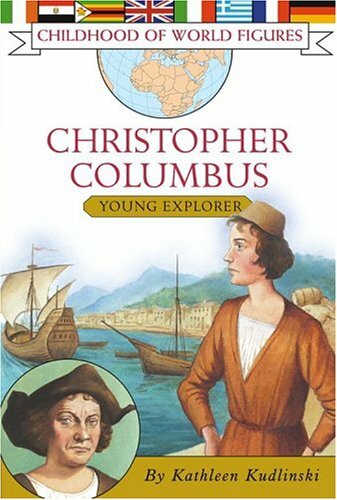 Discover the intriguing story of Amerigo Vespucci in this junior-level biography from Peace Hill Press.When Columbus landed on the islands in the Caribbean Sea, he thought he was off the coast of China. 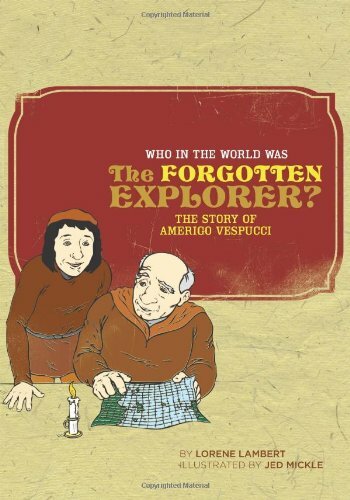 A few years later, Amerigo Vespucci sailed west, hoping to find a new route to the East. Instead, he discovered new lands that nobody at home knew about. What did he see? Who did he tell? And why is America named after him? Outstanding illustrations from Jed Mickle complement the fabulous story, giving second-grade readers insight into the life of this discoverer. About the series: The classical curriculum introduces even the youngest student to the pleasures of true learning. Elementary students learn history not through predigested textbooks with multiple-choice answers, but through reading the stories of history. Unfortunately, biographies of great men and women of the past are almost all written for older students, limiting the ability of young students to explore history through reading. Libraries are crammed with biographies written for high school students and adults—while beginning readers are provided with a shelf full of junior-level books about football players, NASCAR drivers, and movie stars. This is a nice historical account of the explorer Balboa, whose name I probably wouldn't have heard of it I weren't familiar with Balboa Beach, California.Fortunately, Californians can be fairly proud to have a place named after this explorer, because he was one of the more compassionate of the Spaniards who generally slaughtered every Indian they encountered. 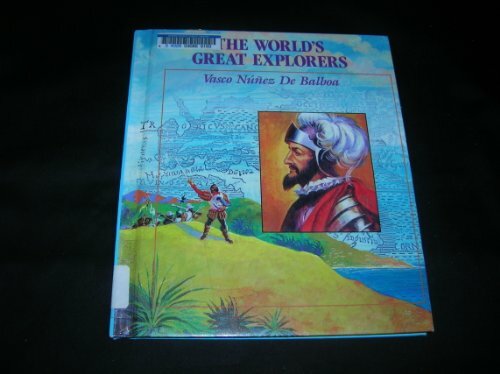 This book is appropriate for children from about 3rd through 8th grade, although I certainly learned a lot reading it.The first part is a little hard to follow because there are many facts given rapidly, making it difficult to make connections between events and people.As the account progresses, it becomes more lively and interesting, not sparing children from the cruelties and gruesome disasters of Spanish expeditions.In favor of this book are its many photos of the landscape Balboa traversed, and portraits of historical figures.The lack of a modern map, however, made it difficult to follow Balboa's journeys. 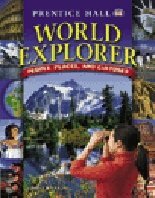 The World Explorer series by Prentice Hall is a great set of world geography books. In this book, they focus on the Europe and Russia. The book is broken down into chapters on the physical geography of Europe and Russia, the extensive history of each, dating back to the early Romans and Greeks, and units on the cultures of the two. My favorite chapter is the history chapter, as it explores ancient Romans and Greeks, and goes into some mythology. This book also has great photos and portraits to go along with the fact being presented in the text. The pages are not cluttered with any non-sense; it just gives the most important facts and moves on. The book also expands much on the cultures of Western Europe, Eastern Europe, and Russia. The culture chapters include information on each country, with ethnicites, religions, food, and lifestyles. 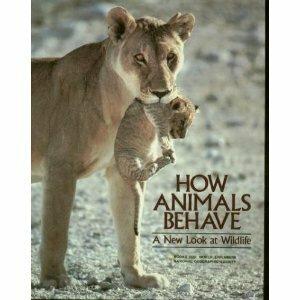 This is the book that I used in class for a few months, and it's very easy to comprehend with and is to study from. Each chapter is broken down into anywhere from 3 to 5 sections, each section having a short review with a few questions. At the conclusion of each chapter there are Critical Thinking questions, a vocabulary segment, a review of the main ideas presented in the chapter, a map activity, among many other things. 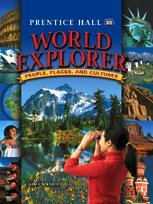 The Europe and Russia book apart of the World Explorer series, is a fun and easy way to learn the necessities that need to be known in the geography of these two places. 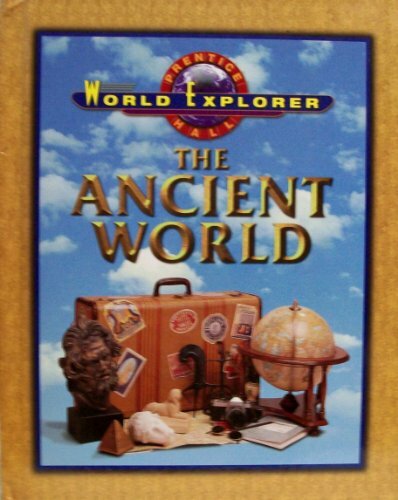 I recommend the whole series for a fun, efficient way to learn geography. This is a must buy. And unlike other textbooks, this is very affordable. A must buy! The first voyage around the globe was a daring, high-stakes gamble that changed the world forever. Portugal dominated the wildly lucrative spice trade, and Spain was desperate for a piece of the action. Spain had everything to gain. Portuguese officer Ferdinand Magellan had nothing to lose. His decades fighting for Portugal had left him with a crippled knee and his king's withering scorn. And so Magellan left Portugal to lead an expedition for his country's bitter rival, Spain. He knew it would be an exceedingly dangerous voyage, but the reality proved much worse. Killer storms, mutinies, deadly battles, murders, deprivation and disease dogged the four-year journey. 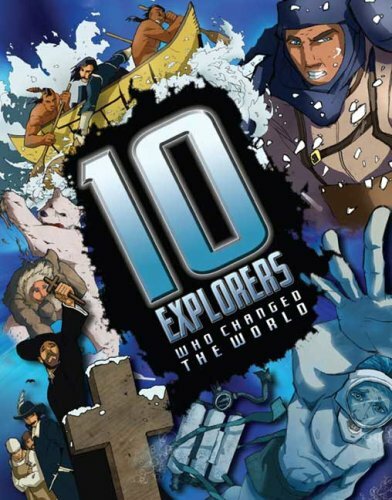 Magellan was driven to ever-greater extremes of brilliance, courage, brutality and madness as he sailed around the world. 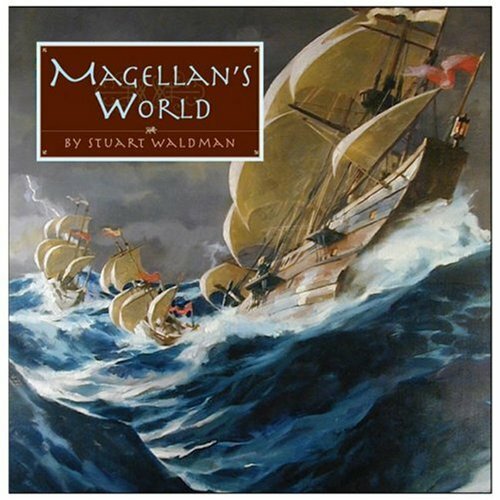 Magellan's World is the story of a harrowing adventure, an inspiring and flawed hero, and an epic event in the history of the world. 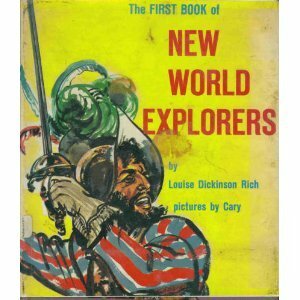 I will never hear Magellan's name again without having my mind refer back to this beautiful picture book. Text and illustrations combined left me feeling as if I had gone around the world with him--or almost around the world, as of course he never did finish the voyage himself. Author Stuart Waldman refrains from the usual political correct tendencies and is respectful albeit realistic as he recounts the historical trip that changed the world map for ever. The maps in the book add enormously to the understanding of the story--most especially the one depicting the intricacies of the Strait of Magellan, which I had never seen so clearly, yet simply, drawn. The first page is a foldout map than if left open will serve as a guide to the reading on each page. We read this book with my 3 year old and 1 year old at least every other day. It is a very fun book about sharing and different cities in the world. My daughters love Dora.They learn so much from the TV show and books. Great content and illustrations, a bang for your buck! This is a great "Dora" story book, and it's a bit more lengthy than a lot of these books. It's Friendship Day! On Friendship Day friends around the world have parties and wear special friendship bracelets. The problem is, sneaky Swiper has been swiping friendship bracelets from all over the world! 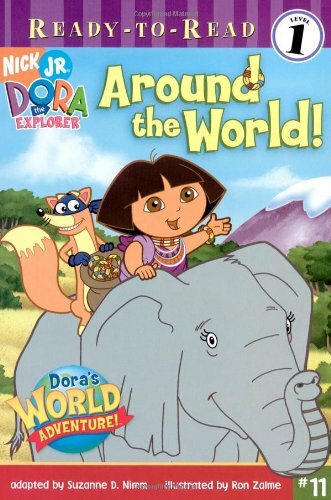 Dora's World Adventure follows Dora, Boots, Diego, and Swiper the Fox to four locations: the Eiffel Tower in France, Mount Kilimanjaro in Tanzania, the Winter Palace in Russia, and the Great Wall of China. In each country, Dora interacts with various friends, saying "hello" in the native tongue. For example, when in Tanzania, Dora meets up with her friend N'Dari; in that country, "jambo" means hello. 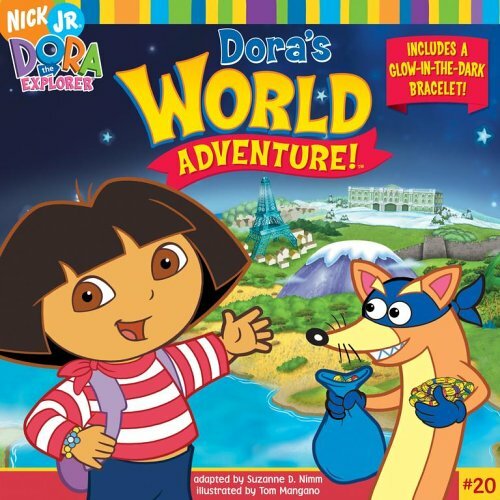 Dora's World Adventure is an excellent book for introducing children to world geography and world cultures. My son has been asking about the various countries, relating various cultural aspects and landmarks that he learned from the book. In the back of the book is a perforated glow-in-the-dark bracelet that your child can wear, which is a nice added touch. Christopher Columbus was born in Italy in 1451. His father was a weaver, but like most young men living near a seaport, Columbus looked to the sea to find his calling. In 1477, after serving as a messenger and sailor on many ships, Columbus settled in Portugal. It was there he first tried to gain support for his dream of reaching Asia by sailing west. It wasn't until nearly fifteen years later that Columbus gained support from Spain and set out on the momentous expedition that landed him in the Americas in 1492. That is a lame title, but this book is pretty great. This manual is a foundation for every setting. Grab some dice, a few scraps of paper and you have any war you want. Upgrade to figures and minis and it just gets better. It's nimble, light and most importantly, it doesn't get in the way of your story. I can not recommend the system enough. It took me a while to get how open it was. Once I did I fell in love with it. I have played in every major system sine 1978. This system treats the players as a hero right out of the gate, and requires the players to think about what there character would do instead of just pick what your character would do from pre defined lists. It's 10 bucks. I highly recommend people interested in gaming pick this up. 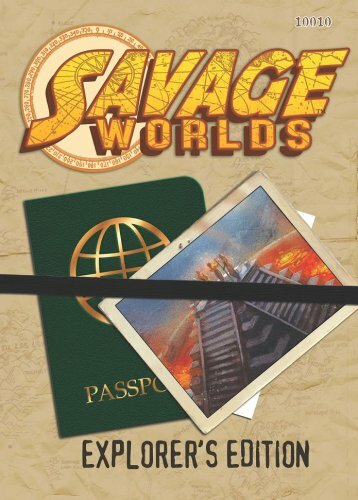 The Savage Worlds game system is fairly simple one (though not, in my opinion, the simplest one out there that does a decent job of sustaining a role-playing game) with some questionable mechanics, probably the most controversial being the "exploding dice" that can have a .22 pistol outperforming a bazooka and the initiative that is random each combat round irrespective of player character stats. If you understand that to take a game under this system totally seriously is to make a fundamental error in judgment, you can perhaps sit back and enjoy the flow of the game, occasional ridiculous events and all, in the "larger than life" way it was intended to be used. The book calls it a fast, furious, fun game system and I suppose it can be, most times, once everyone is comfortable with the system, which I place in order of increasing complexity on a scale thus: Call of Cthulhu BRP -> Savage Worlds -> D20-based games -> GURPS. I found it a bit hard to remember the mechanics of combat at first to be honest, but that is a matter of practice. Characters are points built in this system, and stats are not rated as numeric values but as poly dice type. A strength of D8 means that when called upon to test vs Strength, you roll a D8 and attempt to get a target number, almost invariably 4. Same story with skills. You have five points to improve a basic starting stats template (d4 in everything, 1 point per die-type increase d4->d6->d8->d10->d12) and 15 points to buy skills. You then pick hindrances if you want them, things that "nerf" your character in certain circumstances such as illiteracy or being very old or very young. You can choose one major hinderance and up to two minor hinderances. These give you points with which to buy "edges" (factors like ambidextrousness and lightning draw that help your character in much the same way that feats do in D20-based games), more skills, additional stat dice increases or money. It is easy to spend a lot of time dithering here, but it usually isn't worth it. Trying to minmax a character in Savage Worlds is sorta missing the point of the system. The skills and spells lists have been pared down to the minimum required to present a playable game. If you want to shoot, for example, you have a "shooting" skill. That's it. No "rifle", "handgun", "Bow" etc. Just shooting. Melee is covered by the "fighting" skill, and throwing rocks at people when all else fails is done with a "throwing" skill. This sparseness does make for a very quick assimilation of that facet of the game. The magic lists are all interpretable in many ways - as straight High Fantasy magic, as religious miracles, as psychic phenomena and as Weird Science gadgeteering. The object being to reduce what is needed to explain essentially the same effects in game terms no matter how they are arrived at - a fireball spell is much the same as a "call fire upon the sinner" prayer as is the Weird Science steampunk flamethrower. This makes for a compact rulebook and a magic system that can be assimilated quickly. The game is played between PC "Wild Cards" and NPC "Extras". The extras are very much simplified when it comes to dice rolled and damage sustained, which means they are easy to use. So easy that a PC can bring along a retinue, bodyguard, street gang or whatever and control them him/herself rather than requiring the GM to handle that. This is a very interesting development, one that GMs should check out IMO. Boss Monsters are, of course, NPC Wild Cards and therefore harder to put in their place. All in all a well-conceived way of dealing with the need for lots of people on stage. It plays very well, usually, but sometimes, when a player is very lucky the aforementioned exploding dice can introduce a note of surrealness into the game. For example, a Wild Card with shooting skill D6 fires a six-shooter at a locomotive, and rolls a "6". He rerolls the die and adds the score to the six he rolled. He might be lucky enough to do this a second time, too. Each full multiple over 4 is called a "raise" and adds damage to the roll. So he rolls his usual 2D6+1 and rolls a double six, then another six then a four. Then he gets extra dice, with which he also "aces" (the term for rolling the max on a die) and so on, with the end result that a single shot from a .45 Colt sends the locomotive boiler to the happy hunting grounds in a violent explosion. Yes, something very like this has happened in a Savage Worlds game I've played. Like I say, if you take it too seriously you are doing it wrong. In this case, we all agreed it was a Hollywood moment worthy of Wild Wild West and moved on, but I've met people for whom this sort of thing was a show-stopper. An interesting phenomenon is that many GMs running Savage Worlds have dispensed with the GM screen entirely and simply roll their dice in the open, using a hand as a screen if the roll must remain secret. I don't know how Pinnacle stay in business printing full color books at this price - and when I say that, even the rare pages with no artwork on them are in full color since every page has "worn page edge" ornamentation and the pages are tinted, with sidebars in a complementary color. Other games publishers are going broke with established lines while publishing in black and white! The graphic design is subtle and awesome. The artwork is astounding in places. This ten dollar book is also a bedrock upon which to set other settings: Realms of Cthulhu for gothic, Lovecraftian horror, Deadlands for a bizarre yet very enjoyable Weird West setting, Weird War for, well, WWII meets high fantasy meets steampunk and about a dozen other settings including your bog-standard High Fantasy game. That said, you can play almost any of those settings with just an imaginative GM and this book, since it is a complete game system in its own right. My copy, not purchased from an Amazon dealer I should make clear, began to shed pages in the first few days I had it, which was disappointing but not disastrous as I had already figured out that the perfect binding wouldn't withstand heavy in-game usage (like being pounded flat so a rule could be read while using both hands for dice rolling or fending off enraged co-players) and I planned to have done what I'd seen done over at the Gnome Stew blog; to get it spiral bound at an office supply store for about 6 bucks. I recommend the idea to everyone, and I'm gradually converting all my "half-size" rulebooks to this binding. At this price Savage Worlds has to be the cheapest commercial RPG to try out, and the Explorer's Edition is one of the nicest-looking rulebooks I've ever bought. I recommend the book and the game system to any face-to-face RPG fan, and especially any GM who is feeling the strain as the party size in his or her campaign is beginning to strain the game mechanics and the time constraints of the game session. We purchased this book since it was used, but it didn't dawn on me that it may be outdated.And of coarse, it was and the teacher wouldn't accept it.So I ended up buying a new one anyways.So, completely wasted money on a used book.Bottom line ~ check with the teacher and see if they will accept older copyright dates or if it has even changed. Also, there was way more writing in the book than described.